In 2016 the Aquarelle Guitar Quartet was invited to perform at Classic FM Live at the Royal Albert Hall with the Academy of St. Martin in the Fields. The concert, which also featured Maxim Vengerov, Debbie Wiseman, Laura Wright and Wayne Marshall, was recorded for subsequent broadcast. 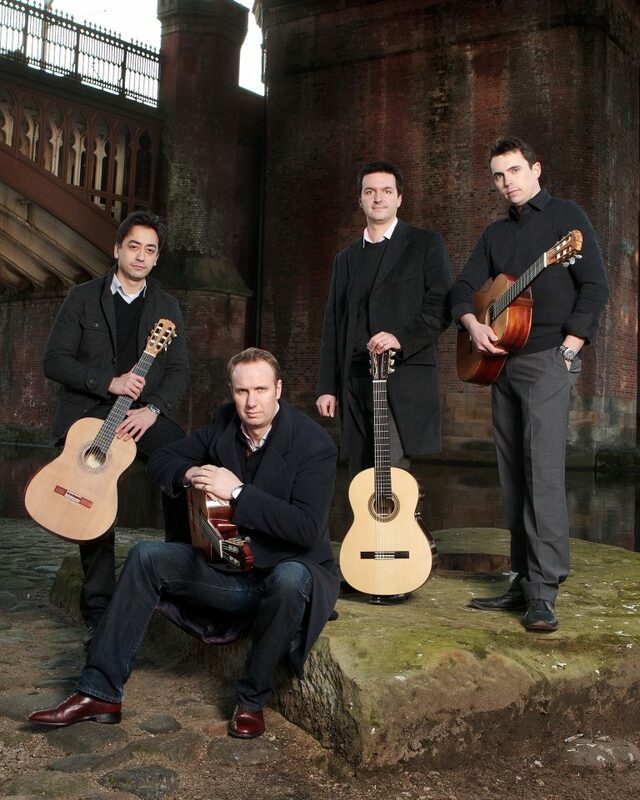 The Aquarelle Guitar Quartet has performed in many other major concert halls in the UK, including Perth Concert Hall, Wigmore Hall, St. Martin-in-the-Fields and Bridgewater Hall. Their engagements have taken them throughout Europe, most recently visiting Germany, Spain, Denmark, Greece, Estonia, Poland and Ireland. The ensemble made its debut in Asia in 2014 with a series of concerts in Seoul and they returned to South Korea in 2016, this time to perform at the Daejeon International Guitar Festival. “If one guitar quartet can give a traditional string quartet a run for its money in terms of abundant technique and breathtaking artistry, it is the Aquarelle Guitar Quartet”. The AGQ is dedicated to presenting music from around the globe, spanning the period from the renaissance right through to the present day. Many established international composers, including Carlos Rafael Rivera (U.S.A), Phillip Houghton (Australia), Stephen Dodgson (U.K) and Nikita Koshkin (Russia) have invited the quartet to perform their compositions, and the group’s commission “Danças Nativas”, by the Brazilian composer Clarice Assad, was nominated for a Latin Grammy® award for best classical composition in 2009. A further source of material for the AGQ’s constantly expanding repertoire is their own arrangements of music from various genres, including works by Gismonti, Mussorgsky, Rossini, and film music composer Ryuichi Sakamoto.